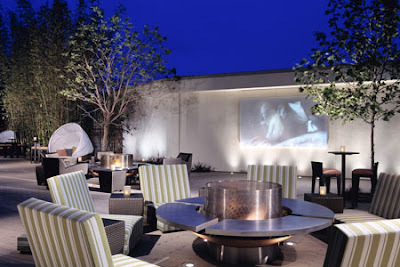 Whether you are traveling for business or pleasure, the Hyatt Regency Century Plaza is a great place to stay in L.A. If you are a business traveler, then you will fall in love with their Full Service International Business Center, their Hertz Rental Counter, and their Multi-lingual staff for starters. 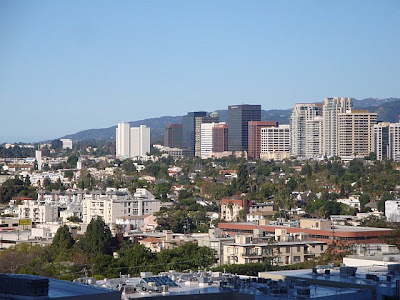 For me and my husband, our stay at the Hyatt Regency Century Plaza was for pleasure purposes, and I have to say, it was an excellent choice for us. 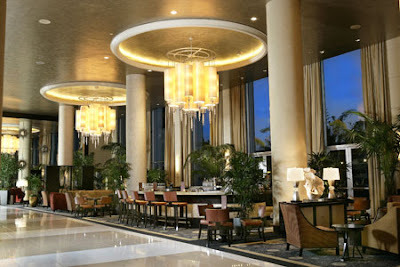 It's location is perfect- right next to Beverly Hills...so that means we were close to Rodeo Drive, and not far from all of the sights we wanted want to visit when we were in L.A. First Reaction: When you first pull up to the Hyatt Regency Century Plaza hotel and walk into the lobby, everything about it is grand (even the address...Avenue of the Stars). 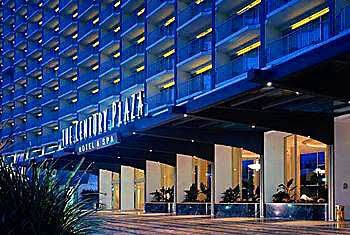 The Hyatt Regency Century Plaza is a landmark hotel that first opened its doors back in 1966. Various celebrities, Presidents and foreign dignitaries have stayed here...so it's nice to add yourself to that list too, huh? Room Reaction: After a hard day of work and meetings, or a long day of touring the city, you want a big, plush, comfortable bed to return to...and that's exactly what you'll find here! 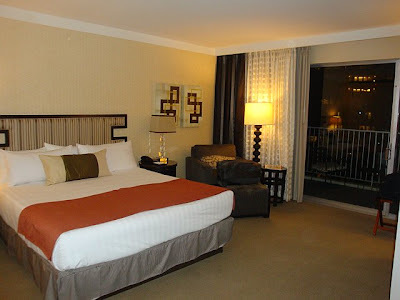 In fact, the beds at The Hyatt Regency Plaza are referred to as the Hyatt "Grand Beds," and take it from me, they are so grand and relaxing that you will find them hard to get out of. The room decor is stylishly contemporary, yet traditional. Some of the perks in the room that I loved were the iHome alarm clock and 32" LCD flat screen HD t.v. Our room had two private balconies where I got to soak in the beautiful views of L.A. 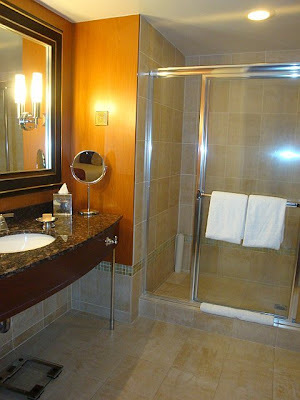 The marble bathroom had over sized bath towels (AMAZING), and deluxe Portico toilet tries. Business, Business, Business: If you are a business traveler, some of the Hyatt Regency Century Plaza's services will quickly become your favorite guilty pleasures. 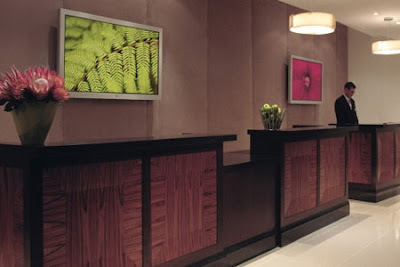 There's 24-hour-in-room service, laundry/dry cleaning, Fast Board (pre-flight check-in), Express Check In/Check Out Kiosks, Currency Exchange, and complimentary wi-fi in all public areas of the hotel. One of the best services they offer is an International Business Center which has faxing, color copying, shipping services, computers with high-speed internet, graphics services, scanners and full service printing. Jet Set Pets: If your pet likes to jet set as well, bring him or her along. 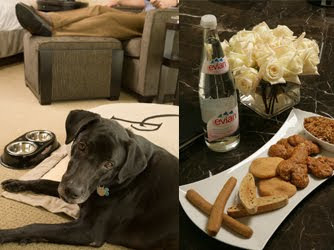 The Hyatt Regency Century Plaza has something called the "4Paws" pet friendly program which caters to dogs and cats. They have everything from gourmet treats to toys and beds. Dog sitting and and walking can also be arranged. Your pampered pet will not want to leave this luxury service behind. 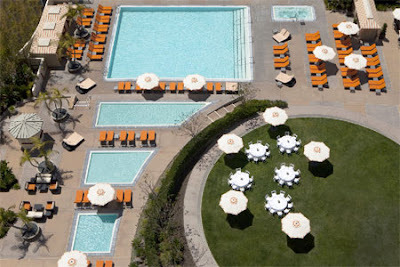 Pool Reaction: Just re-done last year, the pool area at the Hyatt Regency Century Plaza has been transformed into a "backyard oasis." 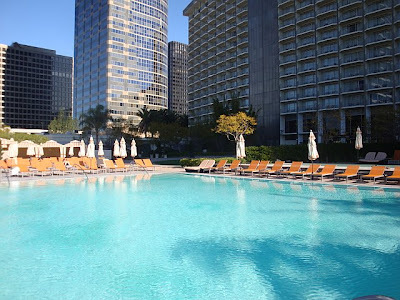 There is a beautiful infinity pool, lined by lounge chairs and cabanas. The look makes you feel like you are in an uber-chic trendy hotel. 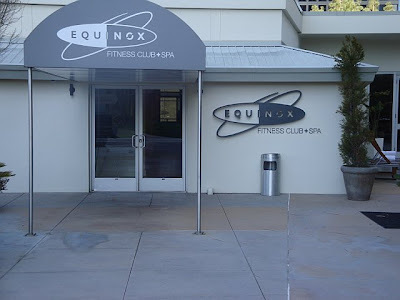 Right next to the pool is an Equinox Fitness Club with everything you could imagine from work-out equipment to fun classes. There's also a Spa at this Equinox that offers every kind of beauty treatment you would desire. If you are staying at the hotel, the cost to get in is $20. 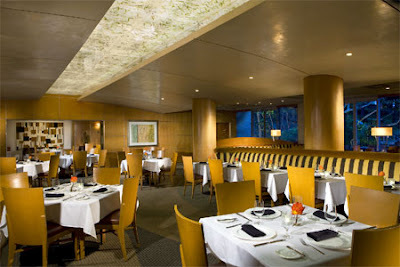 Where to Dine: Breeze is the Hyatt Regency Century Plaza's signature restaurant. Here you can find eclectic California cuisine and a great sushi bar. The restaurant serves breakfast, lunch and dinner. The Lobby Court & Patio are very Hollywood-esque. This is a fun place to go and chill out after your day. This outside area has comfy couches and a nice fireplace. You can also enjoy cocktails and appetizers out here. 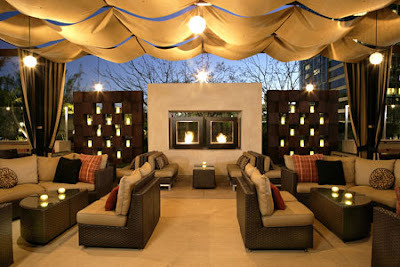 Finally, the X bar is an indoor/outdoor California lounge. 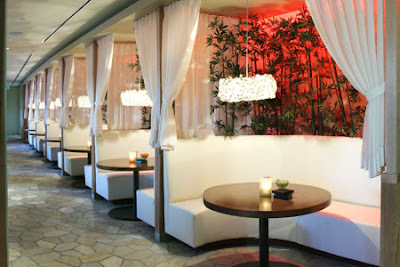 There's a DJ here on Saturday nights, and this is a great place to grab a drink and enjoy some of L.A.'s nightlife. Bottom Line: Would we return to the Hyatt Regency Century Plaza Hotel? Yes, without a doubt, because it offers a good location, great amenities and excellent service. Plus, if it was good enough for President Ronald Reagan and others, then its good enough for me too! Rates start from $259 a night. Another great looking hotel as well as all the amenities you could possible need or want. You never have to leave the hotel. I can't wait for you to go on your next vacation so I can feel like I was right there with you enjoying all the great hotels & restaurants. Thanks for checking it out, Pat! 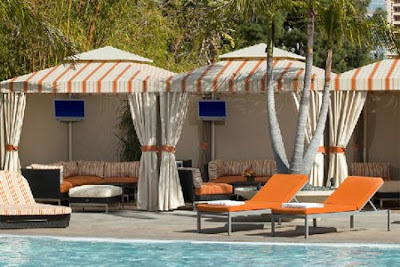 CP is a great hotel, and I highly recommend that you stay there the next time you are in L.A.!